(AP) When Coke bottle glasses just won’t cut it for safe driving, a futuristic windshield might do the trick. General Motors Corp. researchers are working on a windshield that combines lasers, infrared sensors and a camera to take what’s happening on the road and enhance it, so aging drivers with vision problems are able to see a little more clearly. Though it’s only in the research stage now, the technology soon will be more useful than ever. The 65 and older population in the U.S. will nearly double in about 20 years, meaning more people will be struggling to see the road like they used to. GM’s new windshield won’t improve their vision, but it will make objects stand out that could otherwise go unnoticed by an aged eye. At the same time, the developers say the technology won’t cause drivers to plow into trees. It is enhancing just a few objects that are already in a driver’s view, not splashing distracting information onto the glass. 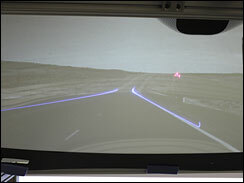 For example, during a foggy drive, a laser projects a blue line onto the windshield that follows the edge of the road. Or if infrared sensors detect a person or animal in the driver’s path during a night drive, its outline is projected on the windshield to highlight its location. It’s possible because of a transparent coating on the windshield that lights up when struck by ultraviolet light. Of course, much more goes into it than that. Sensors have to determine the position of the car in relation to the road, while other devices track the driver’s head and eye movement to make sure the image on the windshield isn’t skewed. The technological issues mean it probably will be a while before the view through the windshield of a Buick looks anything like a pilot’s head-up display in an F-16. “You can see the difficulty of implementing technology like this,” GM researcher Thomas Seder said in a recent interview. It’s also been a bit of a struggle to get skeptics to see how helpful the windshield could be, he said. The windshield is designed specifically for older drivers, who have vision problems at a much higher rate than other age groups. Currently, 12.4 percent of the population is 65 or older, but by 2030, that percentage is projected to jump to 20 percent, or 71.5 million people, according to the U.S. Census Bureau. “They’re not only the fastest growing group of drivers on the road in the U.S., but they are driving more miles per year than previous generations,” said Cynthia Owsley, a professor of ophthalmology at the University of Alabama-Birmingham. “This has enormous implications for road safety in our country,” said Owsley, who has worked with Seder on the high-tech windshield’s design. Chrysler LLC spokesman Nick Cappa said the company is also working on such windshield technologies, but he declined to provide details. Ford Motor Co. spokesman Alan Hall said that automaker didn’t have any similar plans. Some cars already feature head-down displays, small screens in the dashboard that show an enhanced view of what is in front of the car. Head-up displays, so called because a driver doesn’t have to look down to see the information, also are available. But the technology is limited – the head-up display in a Cadillac STS features information such as the speed or radio station projected onto a small area of the windshield. Seder’s system seeks to solve at least one problem with a normal head-up display – it can only be seen if the driver’s head is in a certain position. 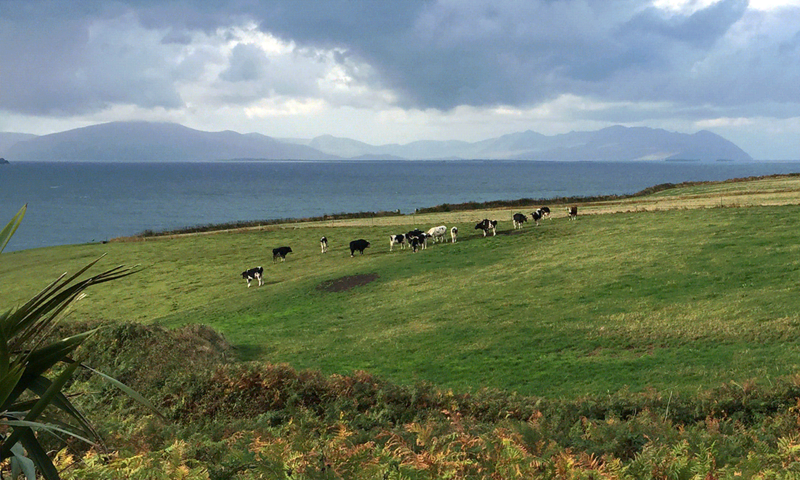 “What’s novel here is it’s the entire windshield – no little headbox I have to have my head in. Here, you can see the image from any position,” he said. Head-down displays can be helpful, but a common vision problem in older drivers is a difficulty adjusting to different visual planes – looking down at something close and then back up and out to the road ahead. “If I can keep their eyes out of the vehicle, so they’re not looking down as much, that’s a really good assistive technology,” Seder said. Some features would be helpful to drivers of all ages. If a driver is speeding, a pink box frames an approaching speed limit sign to draw the driver’s attention. But the windshield mainly is geared to assist older drivers. Seder said he wants to provide technology that helps them, but at the same time isn’t distracting or overwhelming. American Association of Retired Persons (AARP) spokeswoman Nancy Thompson said she believes drivers heading toward old age will embrace the technology. Owsley, who has researched vision in drivers for 15 years, is running focus groups to interview aging drivers about the issues they face, but said there’s a common theme among the drivers.